Jason Gonzalez’s new vinyl copy of Relayer! In respons eto Ken Fuller’s observation about Black Leather Gloves – may I refer you all to the beginning of “Nether Street”. I had this album (not remixed by Howe) on Vinyl – I think on Charly records – a re-issue in the early 80s. Yes, there’s quite a bit of ‘source material’ out there! Thanks for the spot, Tim! What a list! I think Yes supported Cream at the Royal Albert Hall (not the other way round) and that’s probably true for some of the other names, especially in the very early years. Who did I get to see? Well, if we forget about events likes the Crystal Palace Garden Party when a lot of bands lead up to Yes topping the bill, my personal list of support bands includes Asia, Badger, Donovan, Peter Frampton, Kansas, Alan Parsons, Porcupine Tree, and STYX,. The Porcupine Tree gig really turned me on to all of Steven Wilson’s music (and there’s a lot of it) and, of course, he’s also done a fine job remixing some of Yes’s albums. My only support band was Donovan. for Going for the one…However I for one have never been a person who ever went to a multi gig performance only because I believe it takes away from the main performer however on that same note way back in the early seventies I do remember I did attend the Aerosmith / REO Speed-wagon show which for what ever reason REO was just a warm up but they just blew Aerosmith away that night ….But that’s all I can remember but hey again it was the 70’s …. I agree, it’s an amazing list! I’m not sure what I’d think if Yes were sharing the bill with someone else but I’m not sure that it will ever happen in the UK. Thanks for the comment! Another fantastic episode. I really must say these episodes should be a little longer. 20 minutes at least. 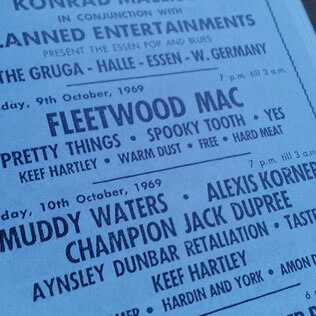 Anyways I must admit that was a impressive list of opening bands for Yes but of course when you start in 1968 or so it’s easy to see how they were openers. 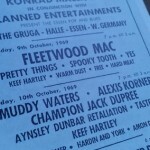 Yes have been around long before most bands I can think of. But that’s a bad thing. As far as what think I think thathaving an opopening act can be a good thing.It all depends on the band. If they compliment the main band then it can make for an enjoyable experience. When they aren’t it can be trouble. A quick example. I saw Rush here in Toronto in 1990 and Montreal thrash band Voivod opened. I loved it. Rush as a progressive band playing with a new young prog – metal band was great. Not so great was seeing Rush in 1984 when Tom Cochran and Red Rider opened. Bad selection and the crowd hated it. In fact the crowd started throwing paper airplanes on the stage. Soon after they started lighting them. Needless to say the band left the stage after 3 songs. Blimey! Sounds dangerous! 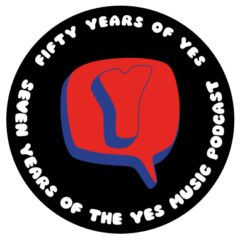 I wonder if Yes will ever tour the UK with anyone else. Not sure what it would be like… Thanks for the comment. If we’re talking slightly off the Yes topic I was lucky enough to see Genesis as the opening band for Lindisfarne (remember “Fog on the Tyne”?) in 1972! Mmmmm, interesting combo! As long as the main event isn’t compromised it could be a good experience. enjoyed were ALAN PARSONS PROJECT (Summer ’98) and KANSAS (Summer ’00). Well it was certainly a fantastic day in May last year just to be able to concentrate on Yes! Thanks for the comment! Wow! I can’t imagine what it was like to hear the band back in those days! What amazing stories Yes fans have. Thanks so much for listening and contributing! Styx played after Yes in Indianapolis in 2011. I was surprised. It’s a regional thing… Styx is originally from the Chicago area, they were very big in Illinois, Indiana before they made it big nationally. I saw them in London, Ont. with Dream Theater supporting in 2004. Amazing night!